Villa Jamaire has it all! 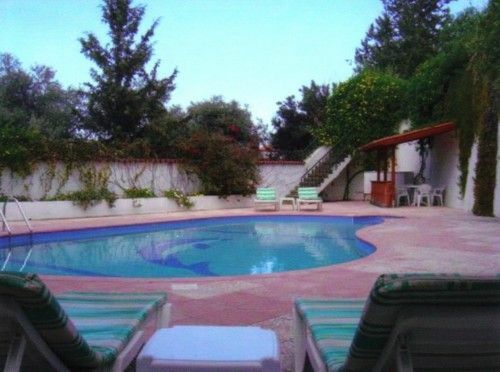 If you are searching for a superb villa holiday in North Cyprus, Villa Jamaire has it all! Individually designed and built to a high standard, the villa sleeps 2 to 6 in three large bedrooms, all en suite and air conditioned. The 12m by 6m private swimming pool enjoys an unusually high level of privacy; the approach to the villa itself is by way of a ‘no through road’, which serves just two other villas, each in gardens of one third of an acre. 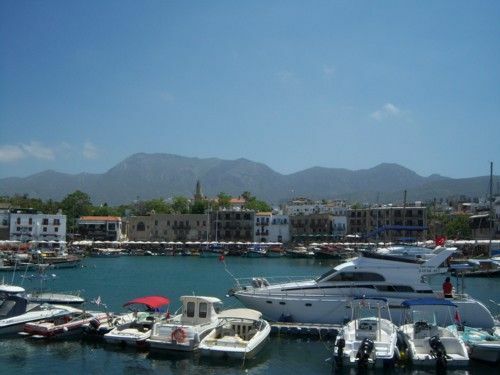 Villa Jamaire is located on the rural edge of the ancient village of Ozanköy, within ten minutes drive of Kyrenia, with its picturesque harbour and imposing castle. 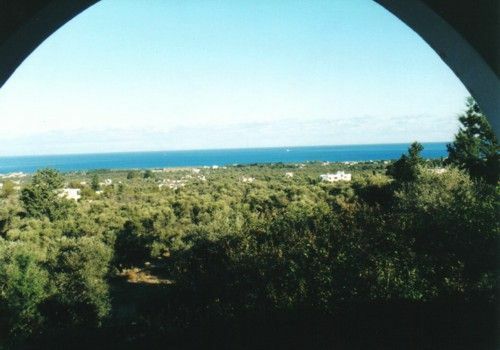 Facing south, the villa overlooks our own private olive grove and mixed woodland and beyond is the Kyrenia mountain range; to the north, there are uninterrupted views over the Mediterranean Sea. 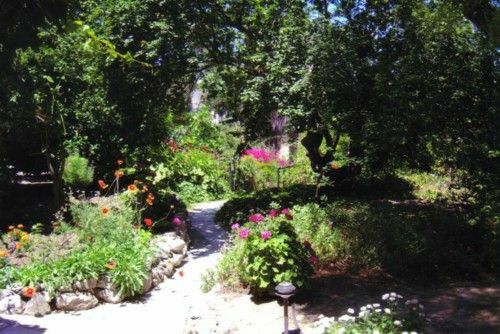 The village, which is within walking distance, has a good selection of restaurants and there are three local mini markets, where most everyday requirements are available. Just five minutes drive away there are modern supermarkets, on UK lines. Also in the village, there are a few other shops, including butchers, hairdressers and coffee shop. 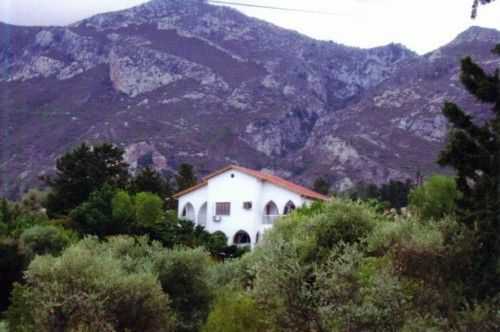 The villa is close to many coves and sandy beaches and is ideally situated for exploring the towns, villages and historical sites of Cyprus. The highly regarded Korineum 18-hole championship golf course (equipment for hire) is within 15 minutes drive. 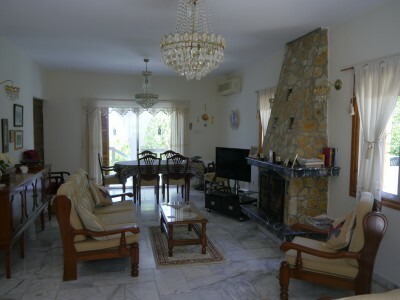 Inside the villa, a galleried entrance hall leads to the main, air conditioned, living room, with natural stone and marble open fire place, lounge suite and dining area. Flat screen television and DVD player are provided in this room. A free wireless internet connection is available. 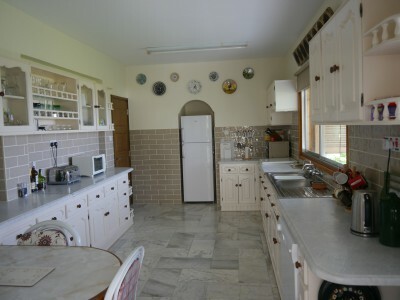 The large fitted kitchen has marble worktops and a breakfast table. A full sized gas cooker is complemented by a microwave oven and electric oven/grill. A full set of crockery, glasses, pots, pans and utensils are provided, as are fridge freezer, dishwasher, water cooler, toaster, kettle, coffee maker etc. 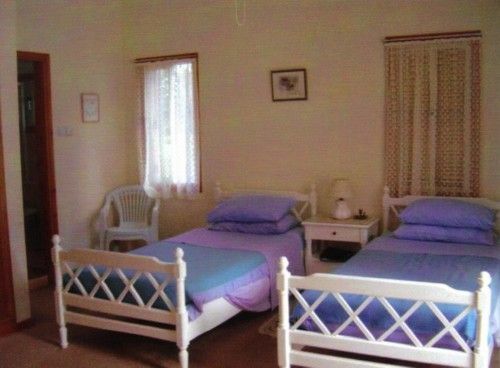 Also on the ground floor, there is a laundry room, with washing machine, ironing board and iron and a guest cloakroom, with WC, hand basin and shower. 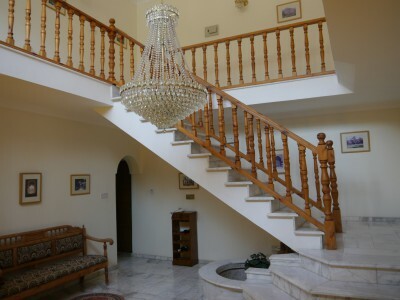 A marble staircase leads to the upper floor, where the master bedroom has a large double bed, full en-suite facilities and a balcony at each end. 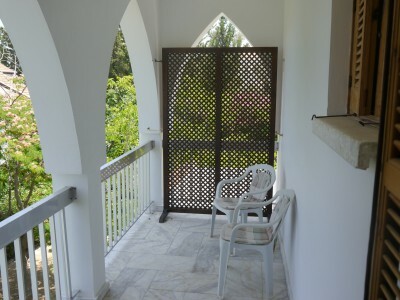 There are two further double bedrooms, each having twin beds, individual en-suite facilities and a private balcony. 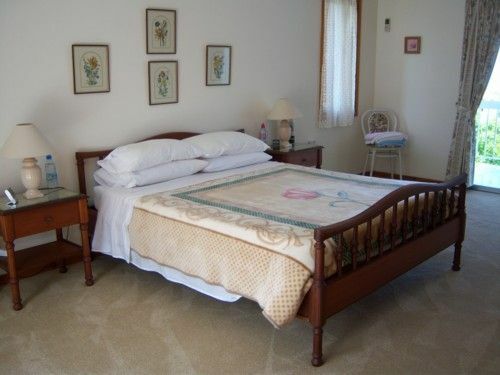 All bedrooms have ample wardrobe space, are air conditioned and are fitted with ceiling fans. 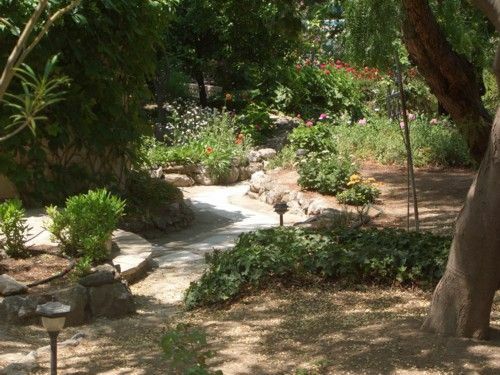 Villa Jamaire stands in half an acre of well maintained, terraced gardens, which support a wide variety of fruit trees and flowering shrubs. A marble floored dining area, close to the kitchen and beneath a mature grape vine, is ideal for outdoor meals. 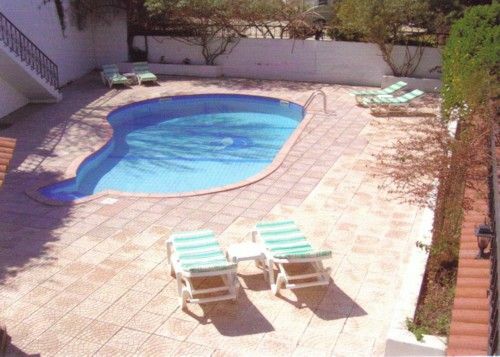 On the lower terrace is the 12m by 6m private pool, surrounded by a wide paved area, with sun beds and mattresses. 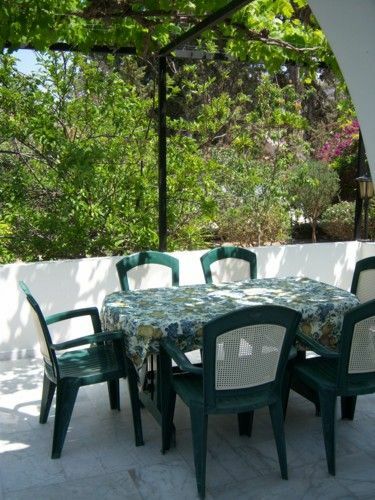 A covered area, with table and chairs, provides shade from the sun. There is also a fresh water shower. 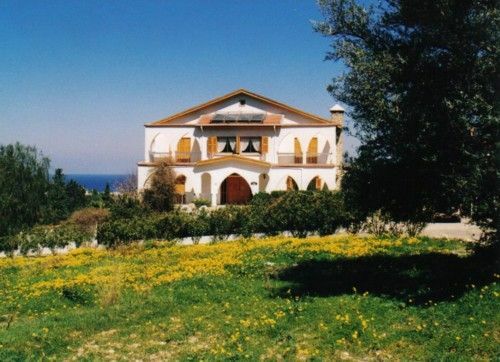 At the front of the villa, a substantial car port is available, for your exclusive use. 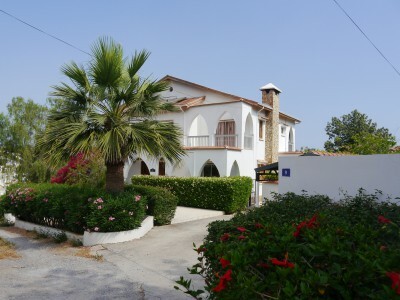 To book this stunning holiday villa in Cyprus, please contact Kath and Ray Meredith as soon as possible. Use the e-mail link on the 'Contact Us' page or, if you wish, telephone us to discuss availability or if you have any questions which are not answered on the 'Any Questions' page.